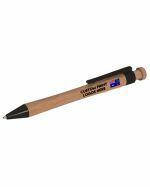 We supply a wide range of high-quality, unique promotional pens all over Australia for an affordable price, branded with your company’s logo or design. 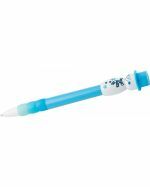 Our charming personalised pens retain that level of professionalism that your customers have come to expect from you while appealing to children, students and even adults at events where you want to attract some positive attention. 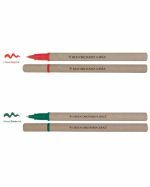 Give your recipients a highly unique and superior product to associate your brand with, and add a bit of fun to their day with these quirky custom-branded writing implements. 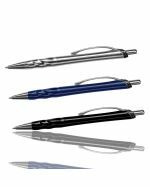 Our promotional pens not only have original, attractive designs but also provide your clients with the best writing experience available, with ball-point tips that flow smoothly and effortlessly across a page. We decorate these custom pens with your personalised graphics or artwork, ensuring that they will help you effectively promote your organisation, build brand loyalty and provide your clients with a handy writing tool when they need it the most, whatever their age or gender. 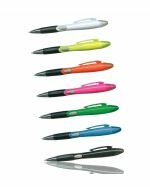 With such a large variety of cheap, promotional pens in our collection, it has never been easier to select the custom-branded item you need to suit your marketing needs and budget, no matter what product or service you provide. 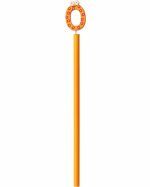 From personalised Mini Mobile Pens and Multi-coloured Retracting Pens to imprinted Novelty Spectacle Pens and LED Torch Light Pens, our amazing range of custom-branded pens has something to appeal to even the most humourless individual. 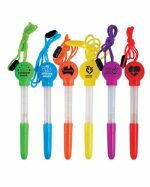 We offer an impressive variety of decorated writing implements which come in a myriad of different colours, shapes and design options, so you can easily grab the attention of potential customers in your next marketing campaign or at a corporate or social event, and really be at the centre of attention. 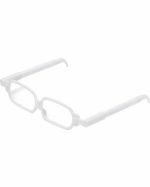 As well as this, we brand your product using a variety of methods including pad printing, full colour direct digital print, and even engraving to give your logo that tangible feel. 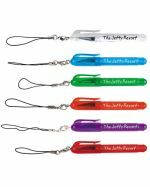 With years of experience and many satisfied customers, the team at Promotional Items are the acknowledged experts for imprinting your customised graphics onto the promotional pen of your choice, using the latest in printing techniques and technologies to stay a cut above the rest. 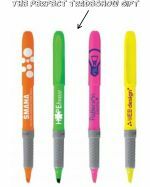 Because these quirky branded pens have some of the most interesting and original designs you’ve ever seen, you can be certain that your custom logo will grab the attention of your potential customers and increase your brand’s exposure and reputation amongst the wider community. 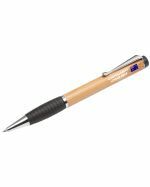 We stock our quirky promotional pens locally and brand them right here in Australia so that you can look forward to professional service, quick turnaround time and fast delivery to all states and territories. 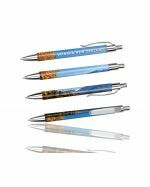 Contact our friendly staff today to find an affordable deal on these charming custom-branded pens for your next event or marketing campaign, and have them promptly delivered to your location wherever you are in Australia. Why Use Unique Personalised Pens? There’s no denying that we all use our pens at least once every day, but it’s difficult to stand out and be unique when all these pens are the same shape, size and colour. That’s where our quirky promotional pens come in. Give your customers a unique, customised gift they will not easily forget, to show them how innovative and exceptional your brand really is. 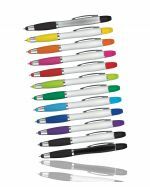 We understand how important it is to build relationships with your customers, and therefore we offer you our amazing range of cheap custom-branded pens to help you gain higher exposure and more sales for whichever product or service you provide. 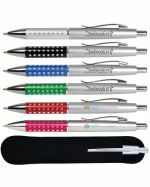 Order these quirky personalised pens today, and radiate confidence at your next tradeshow, seminar or conference. 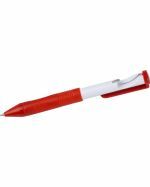 What Are Promotional Pens Manufactured From? 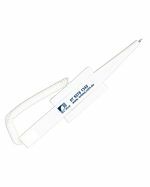 Depending on the customised item you order, these sturdy promotional pens are manufactured from high-grade metal, durable plastic and safe PVC (polyvinyl chloride), that will last for years to come. 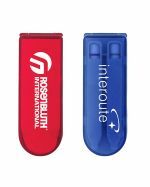 Our custom-branded pens come with cute, distinctive quirks that give them a personality, such as a folding car key design, a logo projection feature, a laser light, a handy sticky note functionality and much more. All the personalised pens you see in our catalogue are made from the highest quality materials and assembled to the greatest possible standard, so you can expect a superior product that you customers will truly appreciate you for. 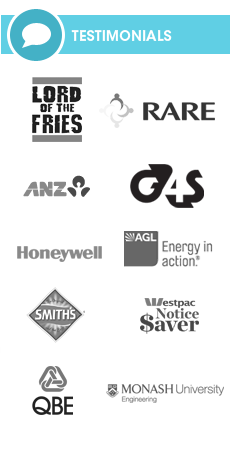 You can be confident that these amazing products will help your brand stand out and increase the reputation of your company. Where Can You Use Cool Promotional Pens? 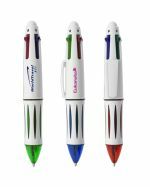 When we emblazon them with your custom artwork or graphics, our wide range of quirky promotional pens can be used in numerous ways as a high-quality incentive for staff, clients and potential customers alike. 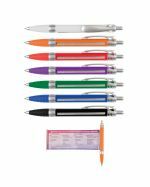 The competitive rates we offer, combined with the relatively small size of these personalised pens make them a perfect option for mass distribution at business conferences, expos, job fairs, orientation days, local festivals, birthday parties, and many other occasions. 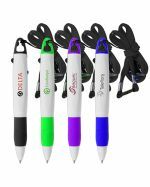 Reward your valued customers for showing interest in your brand by distributing these cheap, custom-branded promotional pens as gifts, and help your company easily gain exposure to possible clients. 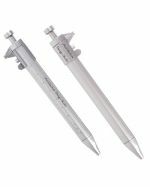 Alternatively, these unique imprinted pens make perfect additions to goodie bags and sample bags. 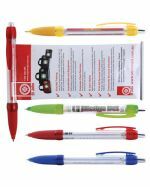 Allow your recipients and brand to stand out from the crowd when you gift them with these delightful promotional items, and as always, we guarantee the quality of our work so you can be confident to receive a superior, branded writing implement which ticks every single box, every time.